The IAAF has revealed it conducted – and has now closed – an investigation into its own president Lord Coe, over whether he misled MPs about when he first found out about corruption and doping allegations. The investigation by athletics’ governing body’s ethics board started in September 2018. It found “no evidence such that there is any realistic prospect that any disciplinary case could be established that Lord Coe intentionally misled the parliamentary committee”. The investigation followed a report last year by the Digital, Culture, Media and Sport (DCMS) select committee which concluded that answers Coe had given to it during an evidence session in 2015 relating to when he first learned about corruption and doping allegations were “misleading”. Coe told the MPs he was “not aware” of specific allegations of corruption in Russian athletics before they were made in a German TV documentary in December 2014. Following the two-year long parliamentary inquiry, Coe – who has ruled athletics since 2015 – was summoned to reappear before the committee, but instead responded in writing. The chairperson of the Ethics Board, Michael Beloff QC, considered there to be justification to investigate a “serious” infringement of the IAAF’s code of ethics. 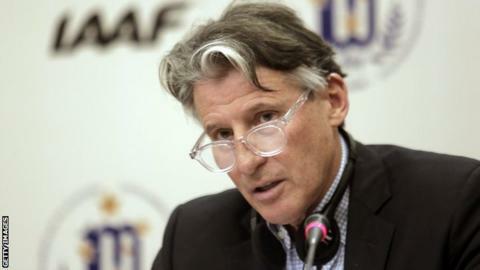 Coe, in his evidence to the committee, said he forwarded Bedford’s emails to the IAAF’s then-recently formed ethics board, without reading them or opening the attachments. Bedford – who also spoke to Coe about a related matter on 21 November 2014 – said he was “very surprised and quite disappointed” when he heard the explanation. The investigation, headed up by Sir David Calvert-Smith, a former High Court judge, also found there was no evidence to suggest Coe was aware of the allegations from “some other source”. “The investigation has therefore not identified evidence of a potential breach of the Code of Ethics by Lord Coe,” the ethics board said.